ENHANCE YOUR SKIING PERFORMANCE AND COMFORT. 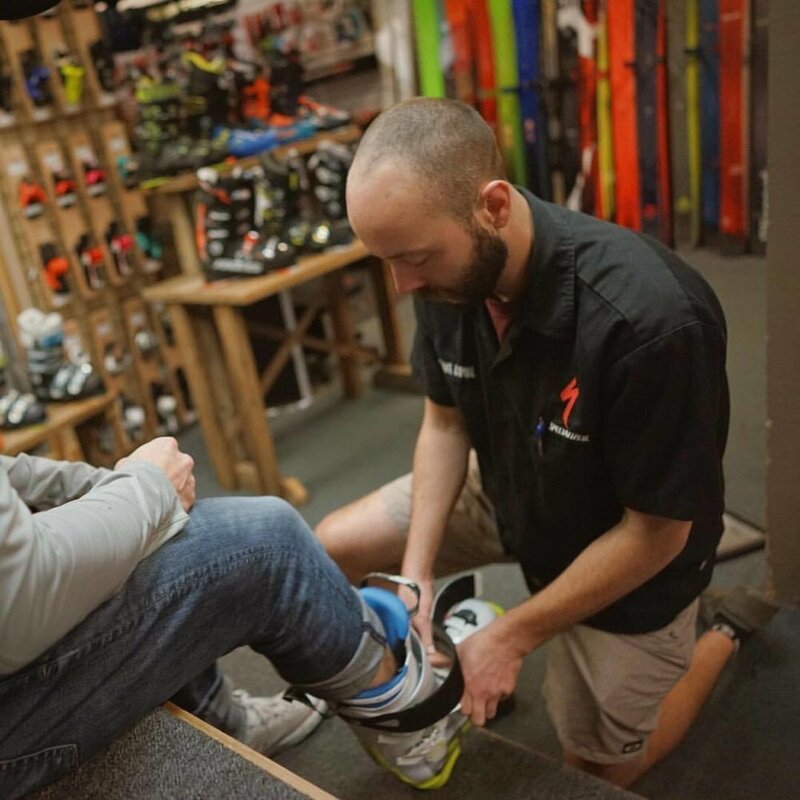 Every foot deserves a customized ski boot experience. In addition to offering the best boots for skiers of all abilities, we customize every boot we sell to create a comfortable on-mountain experience. Didn't buy your boot from us? It's okay, we'll still make sure your feet don't hurt! Edge & Spoke can create a fully customized boot that is comfortable and will enhance your skiing performance. We utilize cutting edge footbed technology and the latest alignment techniques – a better fitting boot is just a step away! Ask us for more information. Some boot models fit wide, others fit narrow. Some have a low volume cuff, while others can accommodate more muscle. Whatever the shape of your foot, we will find the right boot for you. Because every foot is unique, most people will need some minor modifications to achieve perfect comfort. Using our skill and the latest high performance tools, we are able to shape the boot perfectly to match your foot. Effective skiing is dependent on the proper positioning of the body’s kinetic chain. Improper knee alignment makes turning more difficult and can cause pain. Let us analyze your stance and correct your alignment by canting the soles of your boots. You will be amazed at how your skiing will improve. Footbeds are critical to comfort and control in your ski boots. A custom footbed fills the voids under the foot, supporting the arch and preventing it from collapsing. Footbeds also facilitate proprioception, which reduces the skier’s reaction time, improves balance, and reduces fatigue. The end result is unparalleled comfort and improved edge control.